Under Michigan Law, a person involved in a motor vehicle accident is entitled to lifetime medical benefits as long as the injuries and treatment were related to the underlying auto accident injuries. The injured person is also entitled to 85% of their wage loss for three years after the accident. As with all laws, many real life situations fall into an abyss otherwise known as the “gray area” of the law. Two recent Michigan Appeals Court cases recently found for the injured victim on the issue of medical treatment and wage loss when the facts did not squarely fit into the law. In Scott v State Farm Insurance Co., the plaintiff argued that as a result of the motor vehicle accident, she was unable to control her cholesterol with diet and exercise. Prior to the accident, she was successfully controlling her cholesterol without medication. But due to her injuries, she was forced to take medication to control her cholesterol because she was unable to exercise. The court agreed with the plaintiff that the jury should decide of the accident was the cause of her need for cholesterol fighting medication, as opposed to summarily dismissing her claim. In Ross v Auto Club Group, a sole employee of a subchapter S corporation is entitled to wages based upon his W-2 earnings. The Defendant insurance company attempted to argue that the plaintiff was basically self employed and the court should look beyond the W-2 and delve into the company’s expenses, debt, and the ability to pay the sole employee. But the court disagreed and held that a company’s accounting issues were irrelevant to the plaintiff’s wage loss issues. So the two morals of these stories are if you are involved in an auto accident and your insurance company is not paying for any treatment or medications, talk to your doctor and see if he will relate the medication or treatment to your auto auto-accident related injuries. Also, if you are self employed, it would be wise to incorporate as a subchapter S to protect your earnings in the event you are unable to work because of an auto-accident. John Alexander is a resident of Novi with law offices in Bingham Farms and devotes his practice exclusively to representing injured victims. 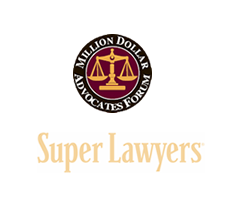 John Alexander is a member of the Million Dollar Advocates Forum and has been voted a Michigan Super Lawyer by Law by Politics Magazine for 2007. To discuss this article or ask a question, you may reach him at 248-290-5600 or email at john@alexanderandangelas.com.